Can't decide what to buy as a present? Our online Gift Vouchers are just what you need. 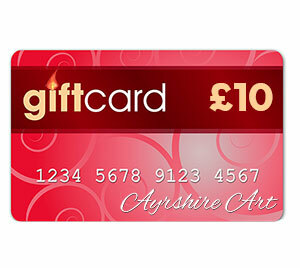 They are also a great way to introduce someone to the Ayrshire Art Collection. You simply buy as many as you need, and that value will automatically be added to your Gift Voucher Account. Then you can send them on via e-mail, from your account to whoever you choose.